The shade of granite differs looking upon the composition and exact mineralogy of rocks. These color series from pink to several shades of black or gray. And the shade of Coffee Brown Granite is one of the most accepted shades of granites. Coffee brown granite has reddish black backdrop and there are dark brown flowery speckles on it. These granite slabs are basically used in indoor and outdoor applications. Coffee Brown Granite is appreciated for countertops, exterior cladding, water features, and wall panels or anywhere a durable and beautiful material looked-for. This granite is weather resistant, scratch resistant and hygienic. So, people use it widely for making their home. Brown granite is available and easy to maintain. It offers a comprehensive look to any home décor. Coffee brown granite is exceptionally dense and tough stones. The density of Coffee Brown Granite also makes it water and stain resistant. These qualities have made this granite perfect for the projects like outdoor cladding and flooring, making countertops in kitchen and bathroom. In addition, this particular granite is used for high traffic zones. The shade of Coffee Brown Granite is ideal for kitchens as well as bathrooms. But it is too tough to pick up the exact contrasting color which goes with this particular shade. There are too many choices to set out brown granite. At first, make your mind up whether you want to take up lighter shades to contrast with any dark or brown shades. If you like to use light shades, you can pick up cream or white shade for painting the walls of your bathroom, and use the same color for rugs, towels and other accessories. Considering the particular color of your Coffee Brown Granite, you can also use light peach, tan or pink as a second shade. Light warm colors like peach or pink are suitable also. Tan shade may go with as a lighter color of the brown granite. Now dark shaded walls are very trendy. It provides a shadowy but elegant effect. So, you pick up dark brown shade for walls. And choose black or dark terracotta shades for towels and different accessories. These colors go with the exact shade of your granite. If you pick up dark shade, use metallic tones or glass in your mirrors, lighting and taps to offer some shine to the space. Don’t forget to arrange sufficient light. 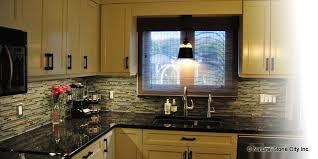 The shades of the Coffee Brown Granite vary tiles to tiles. So, if the skin tones of the tiles are darker then pick up yellow, tan or beige as contrasting color. But in the case of comparatively light brown you may use warm colors like gray or pink.